WASHINGTON (JTA) – George H. W. Bush, the one-term president whose public grappling with Jewish leaders made headlines while his private interventions helped bring tens of thousands of Jews out of danger, has died. Bush, 94, died Friday at his home in Houston, his family said, less than a year after his beloved wife, Barbara, died. 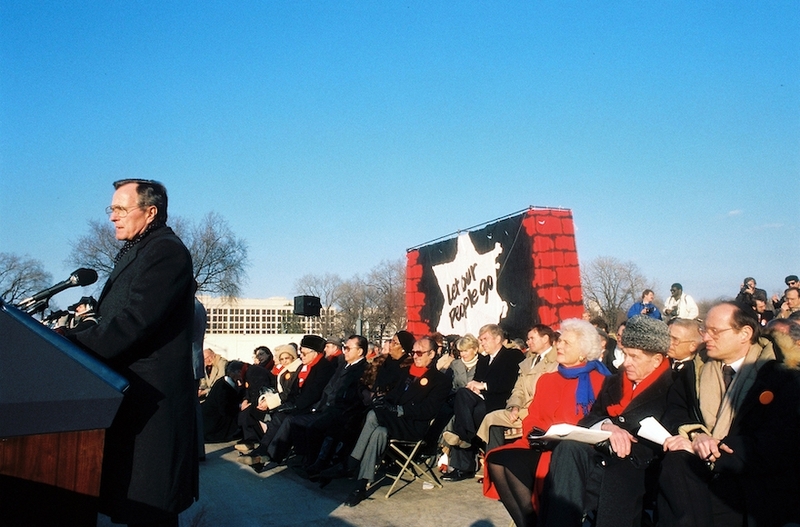 Bush’s failed 1992 reelection bid marked a low point in relations between Republicans and the Jewish community. Bush scored just 11 percent of the Jewish vote in that contest, one-third of what he garnered four years earlier, his 1988 victory over Michael Dukakis. Bush was deeply involved in foreign policy as vice president, and Jewish leaders said he helped orchestrate the dramatic seder hosted by Secretary of State George Schultz at the American embassy in Moscow in 1987. Bush was also instrumental in persuading Hafez Assad, the Syrian dictator, to allow young Jewish women to leave Syria for New York so they could be matched with men in the Syrian Jewish community. CLICK HERE to read the remainder of this extensive report on JTA.org.